"Java in Easy Steps" is a set of Java Tutorials which helps you to learn Java quickly, using real time short videos. Using this Java Tutorials anybody who has knowledge in basic object oriented concepts can easily master Java . These Java tutorials are divided into 9 lessons. 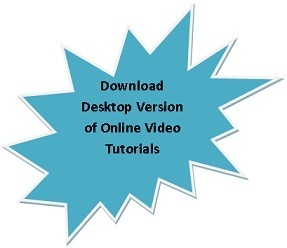 Each tutorial is explained in detail with examples containing both source code and video. By practicing the examples in these Java tutorials anybody can become confident in Java. A project work is also provided at the end to ensure your excellence. These Java tutorials will help you to learn Java yourself and you will become confident in developing real world applications in Java within a few hours.